We are proud to present our Master Carve range of gourmet cooked roasts, specially prepared in our new E.U. approved cook building, for hotels and restaurants. strictly no additives – no salt – no water – no compromise. 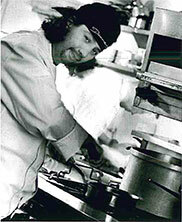 Fine cuisine cooked the traditional way for a natural succulent taste. If you like to enquire about these products click here. The Turkey breast and legs are carefully selected from our fresh butchery department. The roasts are specially prepared for perfect slicing by hand or with a mechanical slicer to ensure no waste. Roast breast and roast stuffed legs can be purchased as a unit or separately. This new 5 star banquet portion fulfils the quality demand of Ireland’s 5 star luxury hotels. Master Carve Turkey Stuffing and Gammon Roast is a generous portion of top quality turkey breast meat gently roasted and sliced to retain the most natural Christmas flavour. The succulent natural turkey wraps a delicious portion of our traditional herb stuffing and is sat on a generous carving of our own old style home cooked gammon. 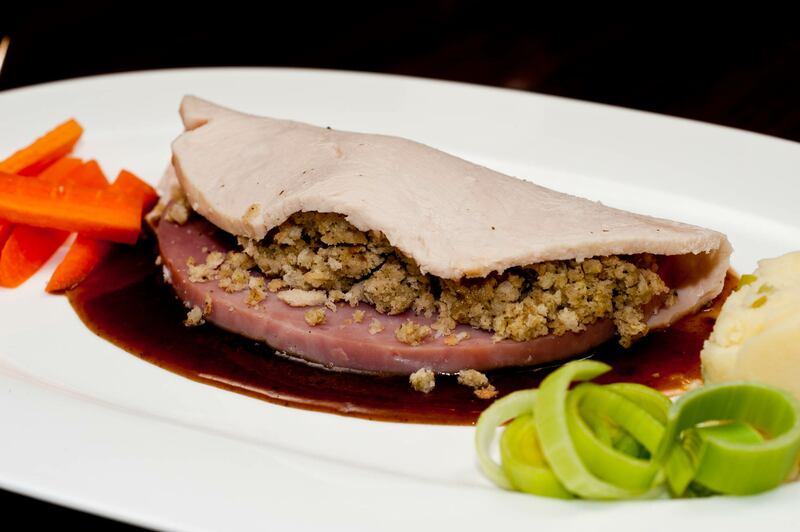 Master Carve Turkey, Stuffing and Gammon Roast are exquisitely presented in individual portions ready to serve. 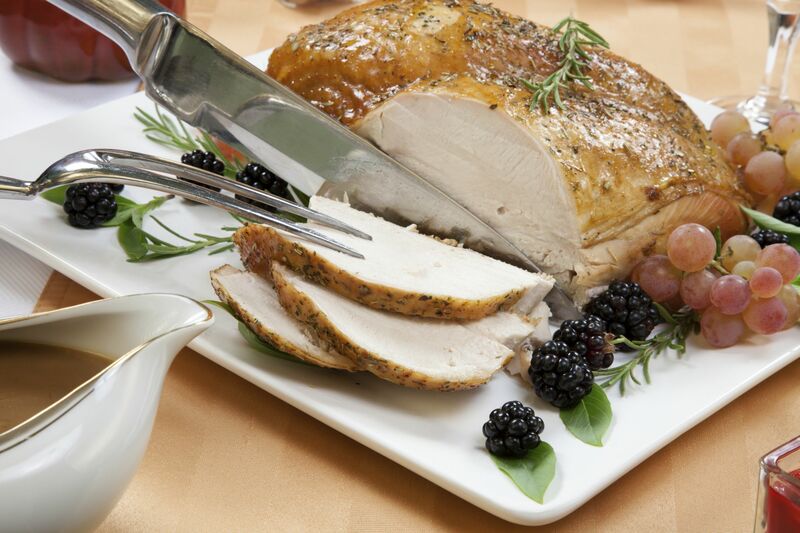 Master Carve Turkey Stuffing and Gammon Roasts are prepared in our kitchens and have the quality, consideration and presentation that will enhance the wedding banquet, the business dinner and gourmet festive dining. 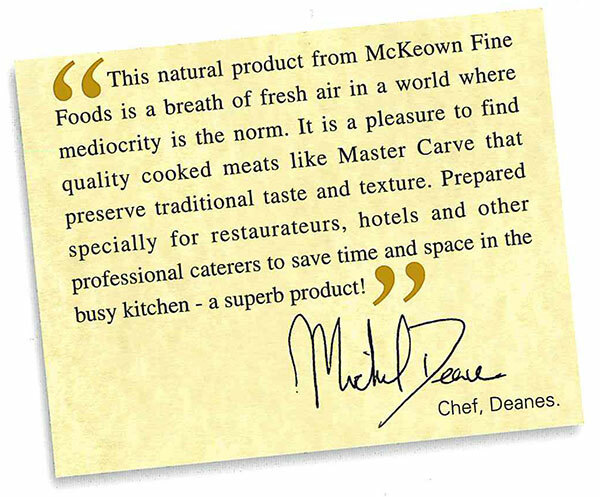 Leading Northern Ireland award winning chef Michael Deane of Deanes Restaurants in Belfast was lavish in his praise for the range of Master Carve Gourmet Roasts.